If you love spending time in the out of doors, learning to cook over open fires is a wonderful skill to develop. Meals over a campfire can be simple, quick, and delicious with a bit of planning. Wrap meals in foil packets and set them next to the coals in your campfire. Dinner cooks while you relax, with no clean up. 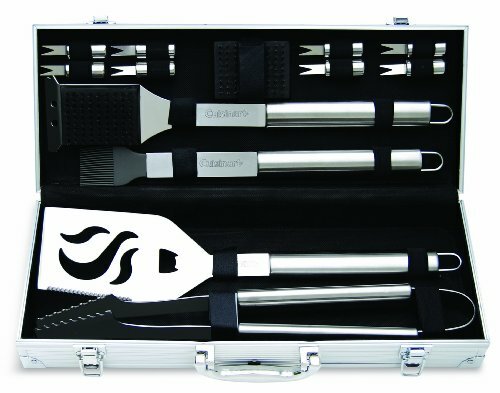 Cook up a feast for your family, guests, and fellow campers with outdoor cooking equipment, recipes, and techniques. Get ready to fire up your campfire and other outdoor cooking equipment, stoke the flames, and get cooking! Try a Hobo Dinner Foil Packet which is a basic vegetable and meat packet on your barbecue or campfire. Slice vegetables, top with a burger patty, and a bit of spices. Seal the foil packet and place on the grill or next to your coals. Turn your packet over half way through. Cut vegetable pieces about the same size so your Hobo Dinner will cook evenly. Brings back memories of Scout Camp! Foil Packet Baked Apples on the grill are delicious and easy. Find simple recipes your family enjoys, and prepare them in a foil packet on your barbecue grill. It is easy, fun, and no clean up. Whip up a sweet treat in a foil packet with apples, cinnamon, sugar, and a bit of butter. Fold up the foil, and toss on a hot grill or campfire for 15 minutes. Whether you are camping or grilling in your backyard, or baking it in the oven, a sweet baked apple treat in a foil packet is always a great idea. Chili Dogs are a classic lunch. Here is a quick and easy way to make chili dogs in foil packets on your grill, campfire or in the oven. Top a piece of foil with a bun, cheese, hot dog, chili, and onions. Fold up your foil packet, and place it on the grill for 15 minutes. Learn how to make simple, basic meals on your grill. Cooking out of doors is fun, easy, and simple to clean up! Foil packets are a great way to cook in a power outage, too. Chocolate Dipped Strawberries in a foil packet are delicious and easy. Spray a foil sheet, add chocolate chips or chocolate bars. Wrap them up, and place on a warm barbecue or campfire. Allow the chocolate to melt, and you are ready to dip fresh strawberries or other fruits into your delicious chocolate. Enjoy! Foil Packet Potato Hotdogs are easy to prepare, cook, and clean up. Spray a foil sheet, load it with hash brown potatoes and sliced hot dogs. Wrap it up and set it by the coals, on a grill, or in the oven. Try preparing a few things your family will eat with foil packets. Simple, go to meals are important to remember on busy nights, camping out, or even in emergencies. Wrap breakfast in a foil packet to cook over the barbecue grill, campfire, or in the oven at home. Simple ingredients such as potatoes, eggs, meat, and cheese can make camping or barbecuing breakfast delicious, easy, and fun. Try making breakfast on your grill in the next power outage. Garlic Tomato Foil Packets are quick, easy, and no clean up required. Foil packets use simple recipes with few ingredients and are fast to cook. Cooked tomatoes are a breakfast favorite in many places around the world. Try this simple tomato and garlic foil packet recipe with your toast and eggs, or toss it over pasta for dinner. Foil packets can be placed in the coals, over a grill, or in the oven. Foil packets are an easy way to cook on your grill, in campfire coals, or in the oven. Have you seen brick ovens or pizza ovens and wondered how they work? When I was on safari in Mozambique, all of the baking was done in a brick oven. Load the brick oven with fire wood. Make sure to use hardwood. Allow the fire to burn hot, and turn the wood into coals. Once the coals are burned, shovel the brick oven completely. Add your bread, rolls, cookies, pizza, lasagna, or other food to be baked into your brick oven. 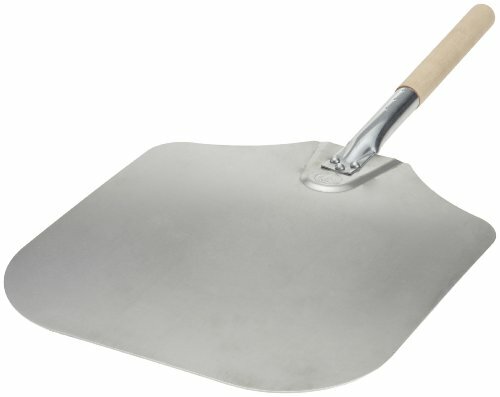 Cover the door with a metal sheet, and allow your food to bake. Baking in a Brick Oven works great. The brick oven will cool, so bake things like pizza first, at the hottest temperatures, then bread and rolls, beans when the oven has cooled. Thank you, Shadrack. Thank you Majune Safaris. Do you have loose tea, and don't know how to use it? Make tea bags from coffee filters and dental floss. Make sure to use plain dental floss, not minted! Measure 1 teaspoon of loose tea, tie with dental floss, and you are ready to steep your tea in hot water. Making tea bags is a simple way to brew your tea if you do not have an infuser or strainer. Enjoy the fresh flavors as they meet your palate! Coffee, Camping. Do you wake up at camp and want your morning cup of coffee? How do you make coffee without power? Camping Coffee needs to be easy and good. Begin at home by making individual coffee bags like tea bags from coffee filters. Measure coffee into a filter, tie with dental floss. Now use one bag in your cup, fill with boiling water, let it brew. You will love enjoying your favorite coffee on camp outs or when traveling. These work great at our remote Alaska cabin. The best part? No clean up! Make sure to use unflavored dental floss. If you enjoy camping, here is a tip on how to take spices along in a compact container. 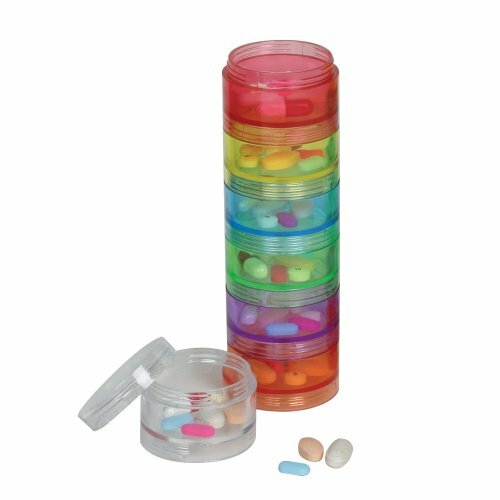 Head to the Dollar Tree for a 7 day pill container, or buy this one with the Amazon link. For little money you can take your 7 favorite spices along in individual organized containers that screw together for ease of use. Buy 2 pill containers if you care to take more spices. Whatever your favorite spices, you fill the individual containers. Bring your spices along on camp outs or outdoor cooking adventures. I filled my container with my favorite 7 spices, salt, pepper, garlic powder, onion powder, taco seasoning, chili powder, and cinnamon. Meals at camp can be easy and delicious with the addition of your favorite spices. Chili Roasted Cod Fish is a quick and easy way to prepare fresh cod in a foil packet on your grill, campfire, or baked in the oven. Place cod fish pieces skin side down on foil, top with seasonings, lemon juice and butter, fold your foil packet, and set it on the grill, next to your coals, or into the oven for 5 to 7 minutes. This recipe for Chili Roasted Cod makes a nice sauce that is delicious over pasta, rice, or couscous. Try this easy delicious recipe for fish cooked in foil. You know your fish is done when it is flaky, opaque, and tender. If you love bacon and potatoes, try foil packets of potato wedges topped with sliced onions and bacon jam. This easy recipe for potato wedges with bacon jam is wrapped in foil so is easy to place on the barbecue grill, into a campfire, or even into the oven. Cook your foil packet bacon jam potatoes for 30 to 45 minutes over a medium heat until the potatoes are fork tender. If you love the taste of Sriracha, this chicken and vegetable foil packet may become one of your favorite recipes. Sriracha Chicken is quick and easy. Spray your foil, top it with chicken, frozen vegetables, and 2 teaspoons each of honey and Sriracha. Place it on your grill, campfire, or oven, and dinner will be ready in about 25 minutes. I use chicken tenderloins so it cooks faster with smaller chicken pieces. Cooking in foil packets on your campfire is fun and easy. Whether you are cooking in a campfire, on the grill, or in your oven, foil packets are a great way to wrap individual servings for fast meals with no clean up. Prepare breakfast packets, chili dogs, ravioli with vegetables, and desserts in foil packets. 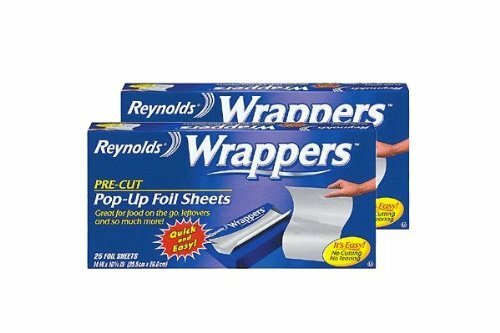 Spray your foil so foods won't stick, fold over the top, and the sides. Leave room at the top for the air to expand. Nestle next to the coals, and your meal cooks while you enjoy the time in the out of doors. Individual foil packets allow you to adjust individual servings according to taste. Are you searching for easy campfire meals? Sausages, frozen vegetables, and frozen potatoes wrapped in foil is one of the easiest foil packet meals you can make. Choose combination vegetables, seasoned potatoes, and your favorite sausage. Combine on foil, wrap, and place on a grill or in a campfire. The ingredients for this recipe travel well to camp. Place frozen foods into the cooler and they will stay frozen for a day or two. The frozen foods also help keep other foods cold. Plan to use the frozen items on the second or third day of your camp out. This recipe works great on your Weber grill, in your campfire, or in the oven at home. Who doesn't love the flavor of chocolate, marshmallows, and graham crackers melted into S'mores? Here is the easiest way to prepare S'mores with less of the sticky mess. Use this recipe to make lots of smores at a time. Layer marshmallows and chocolate chips into a sugar cone, wrap in a foil packet, and toast on the barbecue, campfire, or in your oven. In 5-7 minutes, you will have a delicious, less messy smores. Do you love camp outs, cook outs, and barbecuing? Then foil packet cooking is for you. Load ingredients onto foil, fold, and place on the grill or in the coals. Try this easy banana boat with marshmallows and chocolate chips for a delicious and easy fruit dessert. More nutritious than many desserts, this easy recipe requires no clean up except to wash your face and hands. Try making a banana boat in a foil packet on your next camping trip or when you are grilling in the backyard. This is a recipe all ages will love. If you are stuck in the house, skip the foil and place your banana boat in the microwave for about a minute. Are you looking for a simple way to serve pasta from your grill or campfire? Foil packets of ravioli and fresh vegetables are the easy and delicious way to go. Simply layer frozen ravioli with olive oil, a few spices, and sliced fresh vegetables of your choice. Take your ingredients to camp frozen, and they help keep your cooler cold. Prepare them later in your trip, day 2 or 3 of your camp out. Place your foil packet on the grill or in the campfire coals for 12-15 minutes. I love dinner with no clean up required, so cooking with foil packets is one of my favorites. Grilling a freshly caught fish is easy, and delicious. Mix this simple marinade, then grill in a foil packet to keep your fish moist and tender. This foolproof recipe works great with any fish, from trout to salmon. You will love the flavors in the marinade, basic ingredients and simple to remember - use 1 tablespoon each of brown sugar, butter, olive oil, soy sauce, and honey. Grill your fish from 8 - 10 minutes, and allow it to rest for 3 minutes to finish. Tear open, and enjoy your fresh, moist, delicious fish. Follow these directions on the grill, in the oven, or on a campfire. This recipe works with any fish, where ever you cook. If you like it tangy, add 1 tablespoon Dijon mustard and fresh garlic. If you love salmon, here are tips on choosing the best salmon in the market. This foil packet recipe for salmon is a family favorite at my house, easy, and delicious. Foil packet salmon can be baked in the oven at 325 degrees for 6-10 minutes, depending on the thickness of your salmon, placed on the barbecue, or in a campfire. Salmon cooking in foil will stay moist, never dry. Foil packet cooking is easy, and requires no clean up. Looking for an easy, healthy dinner with no clean up? Try Parmesan Chicken and Vegetables packets on the grill or camp fire. Layer onions, yellow squash, zucchini, chicken strips, Parmesan cheese, olive oil, and seasonings onto a foil sheet. Fold up your packet and place on your grill or into the coals of your campfire. No cleanup cooking with foil packets is an easy way to cook at camp. Fire up your grill or campfire, and lay out foil for delicious, easy, and healthy tilapia grilled on a bed of peppers and onions. Layer peppers, onion, tilapia, olive oil, and spices onto a sheet of foil. Fold the foil, and place on the grill or next to the coals of campfire This recipe for tilapia cooked in a foil packet is simple to make, and yummy. You can also bake your tilapia foil packets in the oven for the same quick and easy meal. Try it! Camping is a lot of fun, but cooking food at our remote Alaska cabin or camp can be a challenge. You don't need a big, bulky, expensive stove to try camping. Get started camping with a small backpacking stove like this Coleman 400. Follow these simple directions on how to start a backpacking stove, and how to cook a simple meal with a small cast iron pan. We would never take cast iron backpacking, but it is the best pan to use to cook at camp. Cast Iron pots stay hot so they continue to cook or keep food warm with very little fuel. Try a backpacking stove like the Coleman 400 for tent or cabin camping. Learn how to light your Coleman stove and how to cook with the Coleman stove before you head to camp. Some of the fun on camping trips or off grid living is learning to cook in the out of doors. Foil packets are the easiest way to make a meal in a fire pit or at camp. Place individual servings on the foil, wrap, and set it next to the coals. Turn your food to make sure it cooks evenly on all sides. Tear open the foil, and your meal is served. I love that there is no clean up. Chili dogs are so easy, put hot dogs and chili in the foil packet, and warm buns in foil on top. Add cheese or onions if you like. Foil packets are an easy way to cook on camp outs or at home on the grill. Heat up your barbecue, campfire, or oven. Foil Packets of bacon and eggs with potatoes are a delicious and easy way to start any day. Spray foil, add bacon, a nest of potatoes, and crack an egg in the center. Fold your bacon and egg foil packet and place on the grill, into the campfire, or in the oven for 15 minutes and breakfast is served with no clean up. Try foil packet cooking on your grill, campfire or oven for fun individual meals that can be personalized to suit your tastes. Save scraps of cotton fabric such as t shirt material to light your charcoal. Douse it with cooking oil, and light. Soon your charcoal will be ready for cooking. No chemicals required to light your charcoal. This works great for outdoor cooking or emergency cooking situations. How you ever wondered how to light charcoal using a charcoal chimney? It works, and you can make your own charcoal chimney with common items found around the house. Use an empty large can to make a charcoal lighting chimney. Follow the simple directions for how to cut your can, place it with a space underneath, fill with newspaper, and light the paper. No chemicals required to contaminate your food. Try it! Outdoor cooking is easy with a stainless steel bottle. Choose one with a wide mouth for your camp cooking or emergency situations. Use it to carry water, and nestle in next to the coals for cooking. Remove the lid for cooking. Choose uninsulated bottles for fireside cooking. A stainless steel bottle is a great cooking pot for backpacking, hunting, or emergency cooking situations. Here are a few tips to make your cooking successful. Stir together 3 basic ingredients, heat over a campfire or in the microwave. Serve with garlic herb breads and fresh veggies for a yummy snack. This recipe is delicious and easy whether you are camping, tailgating, or relaxing. Outdoor cooking requires sturdy tools. Remember that everything is hot when cooked out of doors. We tend to forget since so many kitchen pots, pans, utensils have heat resistant handles. I have been burned more than once reaching in to grab a pot or lid. Choose outdoor tools that are extra sturdy. Try a quick snack of hot dogs in barbecue sauce in a foil packet on your grill or campfire. We cooked these foil packets on the volcano stove which is quick and easy. Find simple recipes, involve family members, and you may find that cooking outdoors is something you enjoy. Foil packets are a great way to cook many things, and have almost no clean up. Here is a recipe for making Smores in foil packets on a grill or barbeque. Graham crackers, chocolate, and marshmallows without sticks or flaming marshmallows. Lay them near the coals for a sweet, melted, yummy dessert. Building a campfire is fun, and an important skill to learn whether you are camping, hunting, or in an emergency situation. Make sure you are clear of overhanging branches, bushes, and grass. Put tinder in the center, stack small sticks in a circular "teepee" shape. Add larger sticks as your fire starts. Make sure it is completely out before leaving camp. Keep a bucket of water close by to keep campfires under control. Have fun outdoors! Are you wondering how to light a Volcano Stove? 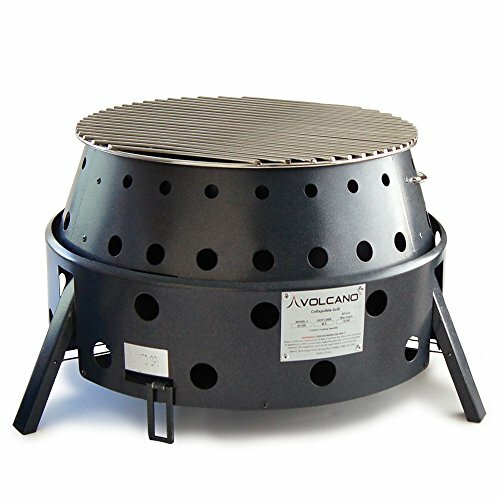 The Volcano Stove is a fabulous outdoor cooking unit whether you are hunting, camping, or in an emergency situation. The Volcano Stove uses the smallest amount of fuel for quick, efficient outdoor cooking. Grab a few small sticks, cones, grass, and light it up. Place the grate into the stove or on the top. Any pot safe for outdoor cooking will fit. The design sends the heat up, not out. The holes keep air flowing into the stove. With a pile of small sticks, cooking is nearly as fast as using a gas grill. 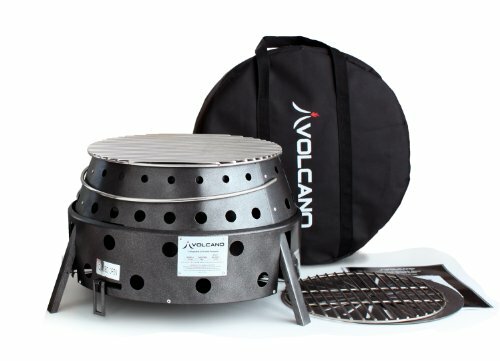 The Volcano stove is easy and fun to use. A gas set up is available for this stove, but I use it with Biomass fuel. Mix a few ingredients for a delicious spinach dip you can heat on a campfire, Volcano stove, or in the microwave. This recipe is simple, and yummy. Stir the ingredients together before you head to camp, and the dip can safely stay in your cooler for a few days. Serve with crusty bread and fresh veggies for a delicious snack or easy meal. Clean up is a breeze. Do you enjoy making foil packets on your grill or campfire? Here is a simple dessert with Teddy Grahams or Graham Crackers, chocolate chips or bars, sliced berries, and marshmallows mixed in a packet. Heat this on the camp fire for a delicious dessert. On your next camp out or barbecue, toss a few foil packets on the coals for a yummy meals with easy clean up! AlaskaGranny is a participant in the Amazon Services LLC Associates Program, an affiliate advertising program designed to provide a means for sites to earn advertising fees by advertising and linking to amazon.com. I also participate in the GO TIME GEAR affiliate advertising program. I receive a very small percentage of your purchase, and it does not cost you any more. The Amazon Associates Program and GO TIME GEAR affiliate program helps justify the time and money I put into my youtube channel.